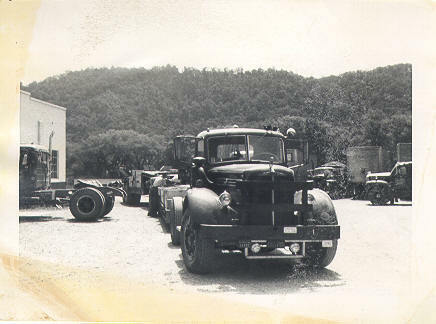 Burns Motor Freight, Inc. was founded in 1949 by Fred C. Burns, Sr. with a used 1948 Mack LJT tractor. Mr. Burns started hauling wood products himself with one truck, and continued to increase the fleet, and began hauling other commodities. Since 1949, Burns Motor Freight, Inc. has remained a family owned and operated business. The company is now managed by the second and third generation of Burns. For a more detailed company history, please read this article entitled From Livestock to the Nation’s Christmas Tree to Telescopes for Space Exploration – Burns Motor Freight has Hauled it All by L. Wayne Sheets.